EPAs and Continuing Care – why doesn’t the NHS understand the link? 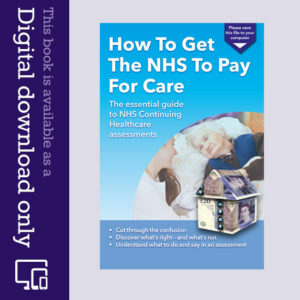 The connection between Enduring Powers of Attorney and NHS Continuing Care is obvious – and yet we hear accounts of NHS funding assessors questioning the validity of Enduring Powers of Attorney (EPAs) when it comes to someone acting on behalf of a relative in an NHS Continuing Healthcare assessment. Is this a lack training or deliberate obstruction? EPAs are the older style powers of attorney that allow someone to manage someone else’s property and financial affairs. Even though the new forms of powers of attorney are now called Lasting Powers of Attorney (LPAs), and can cover Health and Welfare matters and/or Property and Financial affairs, existing financial EPAs can still be used. Some assessors think EPAs can no longer be used. This is incorrect. They may no longer be issued, but existing EPAs can certainly still be used. Some assessors think that, to act for someone in a Continuing Healthcare assessment or appeal, you have to have an LPA for Health and Welfare. Again, this is incorrect. NHS Continuing Care is all about funding – it’s all about financial affairs – and so an EPA is absolutely fine, and so is an LPA for Property and Financial Affairs. In other words, if you DO hold an EPA or financial LPA – or the relevant Court documents – the evidence used in funding assessments should be shared with you. And this should be the case whatever stage of the Continuing Care application and appeal process you’re at. It’s a point of law. It’s not surprising therefore that families who face objections to their EPA suspect that this is actually part of the wider maladministration that so many families experience in the Continuing Care process, and which seems designed to obstruct and delay the assessment process and put families at a disadvantage. What’s your experience of using an EPA or financial LPA in Continuing Care assessments? The family have been awarded CHC funding for our parent, which means the CCG are now calculating the refund payments back. The issue is the deferred payments scheme – the Property charge the council placed on their property. The family had EPAs to protect our parent, so we never signed a deferred payment scheme. Hence without due process, the council ignored the protection of what an EPA means, and committed fraud in essence. The seizure of funds without due process. Now the family have been vindicated in CHC funding being granted, we are now challenging the council to explain why they place a charge on their property, clearly stating that funding disputes were still ongoing and IRPs were being raised. 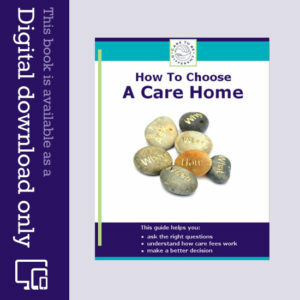 The council replied to the family ; “unfortunately the council will not consider your complaint.This is because the council must follow statutory complaints regulations when considering complaints about its adult social care functions and it is not required to consider your complaint”. They suggested the option of going to the LGO now. So the question is; are EPAs totally a waste of space if councils can place a property “charge” on a care patient irrespective of no deferred payments scheme? The family will consider taking this up with the LGO. My Dad has been awarded NHS Continuing Healthcare funding and is permanently in a nursing home. What happens to his pension? My mum is in receipt of benefits. Am I right in thinking Mum would need to apply for deputy to manage my Dads money as he has been assessed to lack capacity? If Dads pension goes into their joint bank account is this classed as an income for my Mum? My mum was assessed as single when my Dad was first poorly therefore she received pension credit? Last year (June 2016) my brother and I along with our appointed advocate attended a Decision Support Tool (DST) meeting on behalf of my mother who is in residential care suffering from dementia. Also present were the social worker, Mum’s principal carer and the CCG nurse assessor. My brother holds Enduring Power Of Attorney (EPA) for both our parents who are both in their 90’s, divorced and both in different care homes suffering from different types of dementia. Fully funded NHS continuing healthcare for Mum was recommended by the nurse assessor and subsequently awarded by the CCG panel. No question was raised about the EPA or the presence at the DST meeting of our advocate. In February 2017, we went through the same DST process on behalf of my father. My brother and I were joined once more by our advocate along with the social worker, Dad’s principal carer and the CCG nurse assessor (from the same regional CCG as Mum). The nurse assessor refused to conduct the DST meeting with our advocate present, saying that my brother’s EPA did not cover sensitive health matters and therefore without an LPA for health he could not appoint our advocate to represent Dad’s interests at the meeting. We abandoned the meeting put in a formal complaint to the CCG outling all the relevant excerpts from the National Framework about our right to appoint an advocate on our Dad’s behalf. The Chief Officer replied to our complaint and upheld the nurse assessors “judgement”. It is evident that a CCG can make up any rules they choose. just for clarification, the PoA is Enduring (and has been an absolute nightmare). I am one of four with Joint Power of Attorney for our mother who is in late stages of vascular dementia. Mum had a CHC Assessment in May and the decision was that she didn’t qualify for CHC. I’ve done a massive amount of research into this (mostly using this site) and am ready to submit the appeal which has the support of an NHS Complaints Advocate. However I now get the impression that one of my sisters who is one of the joint PoAs may contact the CCG to say that she does not support the appeal and that they need agreement of all four of us to proceed. Has anyone experienced this or am I the only one with a totally unreasonable sibling? I hear of many instances where internal family disputes make this whole process even harder. Your EPA may allow for any one of you to act ‘severally’ or it may be only ‘jointly’. It’s my experience that many people working in health and social care don’t understand powers of attorney – let alone Enduring Powers of Attorney. Sadly I have found banks are often just as bad – if not worse. It can make a stressful situation even harder for the family. Last comment ‘on the button’ for me. The Care Home will not give me access to my Mum’s daily log and care plan as I only have EPA, so when I was trying to prepare for CHC assessment I did not have records to check on. I know a senior carers told me Mum was in ‘low mood’ one weekend but it was not brought up at the meeting and no one would look. I think i should have access to documents to help Mum, who has long lost capacity, gain free care. Liz – thanks for your comment and, yes, you should have access to anything relevant to the funding application. And care notes are directly relevant to NHS Continuing Healthcare applications and assessments. Indeed, they are fundamental. Useful distinction between attorneys for care COST decisions, which are covered by an EPA or LPA Property & Affairs, and care TREATMENT decisions, which are not, hence the need for the LPA health and welfare.